Modesto, CA. - Bryson Brigman drove in three runs but the Modesto Nuts fell 6-3 against the Stockton Ports on Monday night at John Thurman Field. Brigman smacked a RBI single for the Nuts (4-8) in the third inning. After his knock, the Nuts loaded the bases with no outs but were unable to add on against Ports' (8-4) starter Jake Bray. The Nuts' offense didn't have any life after the third until the ninth. Brendan Butler (W, 2-0) worked five innings out of the bullpen and allowed just two runs on four hits with four strikeouts. The two runs came in the ninth. Gareth Morgan singled and Jorge Solano walked before Brigman drove them both in with a two-run triple. That knocked Butler out of the game. Andrew Tomasovish (S, 1/1) recorded the final out to finish off the game. The Ports got to Nuts' starter Ljay Newsome (L, 2-0) for two runs in the first. Kevin Merrel tripled to start the game as part of a 4-for-5 day. He scored on Dairon Blanco's RBI triple. In the fifth, a leadoff walk came into score and Nate Mondou added a RBI single. Newsome worked five innings allowing four runs on six hits. 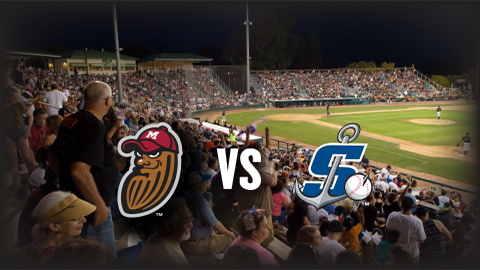 The Nuts continue a three-game series with the Ports on Tuesday night at John Thurman Field. First pitch is set for 7:05 p.m. on Sunday afternoon. Coverage on ModestoNuts.com will start at 6:50 p.m. Listen live online on your phone, tablet or PC by clicking HERE.